Of course I am writing this article today in view of the tragic events which happened at Bridgewater Plaza in Virginia. "Reporter Alison Parker, 24, and cameraman Adam Ward, 27, were doing a routine live interview on the morning of Aug. 26 when a man shot and killed them at the scene. Since Adam was filming when the horrifying incident took place, the camera panned to a quick shot of the terrifying shooter. See it here." Adam and Alison were conducting their interview at Bridgewater Plaza when the mystery man opened fire. In the tragic video, we can hear alarming screams, as the sounds of the attack are captured on the audio. The 27-year-old cameraman dropped his camera in the chaos after the first gunshot.."
Guns don't kill people, psycho's kill people. Guns don't kill people, mind altering drugs kill people. Should the U.S. government outlaw all firearms? Of course not; they should be used for self-defense per the second amendment to the U.S. constitution. 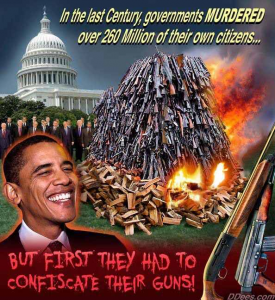 ".. and the right of the people to keep and bear arms, shall not be infringed." How many people have been saved from being killed by an intruder by use of a firearm for self-defense? I guarantee you it is more than you think! How may Jews would have been saved in Nazi Germany if they had been armed and resisted going to the death camps? Spoons don't make people overweight; eating too many calories and not exercising makes people overweight. Should the U.S. government outlaw all spoons? Of course not! Seat belts can be used to strangle a fellow passenger. Should the U.S. government ban all seat belts? Of course not! How many lives have been saved by wearing seat belts properly! Motorcycle helmets can be used as a weapon to hit someone and knock them out. Should the U.S. government ban all motorcycle helmets? Of course not. How many lives have been saved by people wearing motorcycle helmets properly! Needles can be used to stab and inflict bodily harm. Should the U.S. government ban all needles? Of course not! Life saving vaccines and fluids are administered through needles. Plastic bags may be used to suffocate individuals until they die. Should the U.S. government outlaw all plastic bags? Of course not! How many trips in and out of the grocery store does it take to carry all your groceries out to your car if you had no plastic bags to carry them in? Shopping carts can be used as weapons to injure and maim. Do we ban all shopping carts? Of course not! How many trips into and out of the grocery store would it take to carry out all of your groceries you had just bought if you had no shopping cart or bags to carry your groceries? Should the U.S. government ban all firearms? Of course not!! Any object may be used as a weapon to inflict bodily harm and injury if it is not used properly! It is the MIND of sinful man that kills, not the object that the man uses to kill with. Through mass media propaganda the government tries to control the way you think about guns by controlling the narrative and discussion of events whether you realize it or not. I am countering their arguments to wake you up to the constant drumbeat by politicians such as Hillary Clinton, the White House and others such as Virginia Gov. Terry McAuliffe, to ban firearms which you have a legal right to carry per the Second Amendment to the U.S. Constitution to protect yourselves from intruders and abusive government[such as the Nazi's in Germany, Stalin in Russia, and Mao in China]. Do we incarcerate the gun that committed the crime or the person with the evil mind that used the gun merely as a tool to carry out what evil his mind conceived?? THINK ABOUT IT! Guns used in self-defense have saved millions of lives! And that's my two cents! I have taken the liberty of capitalizing certain words for emphasis from the original Earth Charter. Specifically the Earth Charter states. a. Recognize that ALL BEINGS are interdependent and EVERY FORM OF LIFE HAS VALUE regardless of its worth to humam beings. b. AFFIRM FAITH IN THE INHERENT DIGNITY OF ALL HUMAN BEINGS and in the intellectual, artistic, ETHICAL and spiritual potential of humanity. 2. Care for the community of LIFE with understanding, COMPASSION AND LOVE. a. Accept that with the right to own, manage and use natural resources comes the duty to prevent environmental harm and to PROTECT THE RIGHTS OF PEOPLE. 3. Build democratic societies that are just, participatory, sustainable and peaceful. a. Ensure that communities AT ALL LEVELS GUARENTEE HUMAN RIGHTS and fundametal freedoms and provide EVERYONE AN OPPORTUNITY TO REALIZE HIS OR HER FULL POTENTIAL. Let ours be a time remembered for the awakening of a NEW REVERENCE FOR LIFE......"
How does murdering children in the womb recognize that "every form of life has value" when a human life is snuffed out? How does murdering a child "affirm faith in the inherent dignity" of that child per the Earth Charter? How is murdering a child in the womb "ethical" per the Earth Charter? How is murdering a child "caring for a community of life with understanding, compassion and love"? How is murdering a child "guarentee human rights" (his or her rights) per the Earth Charter? How is murdering a child help that child to "realize his or her full potential" per the Earth Charter? How is murdering a child "promoting social and economic justice" for that child per the Earth Charter? How is murdering a child enable that child "to achieve a secure and meaningful livihood" per the Earth Charter? How can murdering a child be associated with the "awakening of a new reverence for life" as "THE WAY FORWARD" per The Earth Charter? Here are 38 companies that have directly funded Planned Parenthood. 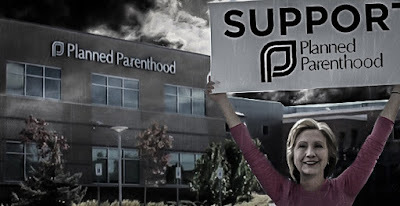 Do not give them the pleasure of your business until they withdraw their financial support to Planned Parenthood. Representatives from Coca-Cola, Ford Motor Co. and Xerox say they’ve asked Planned Parenthood to remove their names as corporate donors to the embattled organization. Keep up the pressure. Hopefully more corporate doners will drop their support. Together we can stop this evil with prayer and public exposure of the facts and shed some light on what is being done in the dark. The Candidate That Should Be Running For President. Where Is He? The man I'll vote for President to represent me will be Bill Whittle. I will not cast my vote for an Obamanoid such as Hillary, Jeb or any of the other retread socialist, progressive, technocratic, globalist, warmongers.